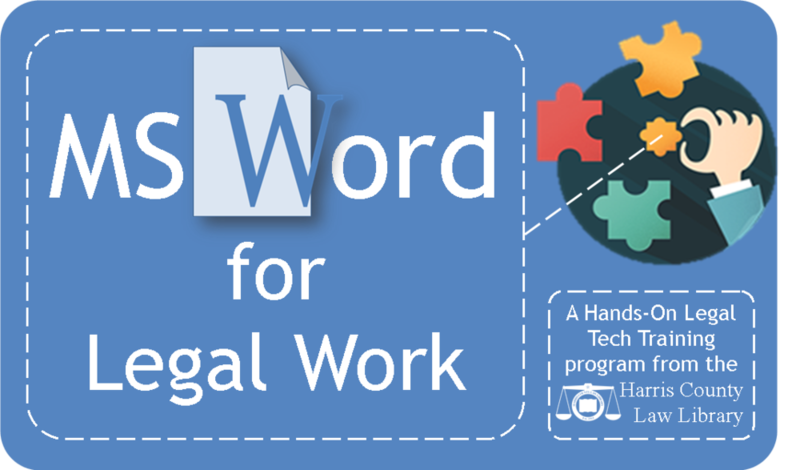 Program Description: This session highlights legal drafting techniques using tools available in the most widely-available word processing software, Microsoft Word. Key topics will include efile formatting, legal citations, tables of authorities, tables of contents, and indexes along with fonts, styles, headers and footers, and page and paragraph numbering. The program will be presented several times during the year for small groups at the Harris County Law Library using the same content delivered by the same speakers.